Stay Home. Stay Healthy. Stay Happy. Stay Connected. Given the opportunity, most of us would like to stay in familiar surrounds as we age and need a little help. Sundale’s In-Home Care (or community care) provides that help throughout the Sunshine Coast and beyond with bases in Kilcoy and Burnside. Sundale is a "one stop" option for all your In-Home Care needs, we will work with you ensuring we select, arrange and manage the best mix of services to suit your needs, entitlements, and wishes. As we become less mobile, help within the home for domestic, nursing, respite, transportation or social connection can really make a difference. 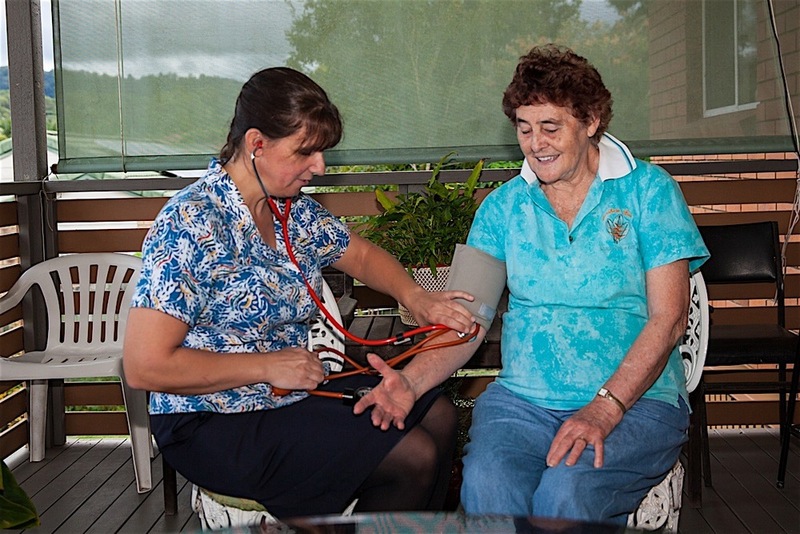 Our In-Home Care teams support our customers throughout the Sunshine Coast and Somerset regions. Sundale’s In-Home Care service is engaged and attuned to our customers. We work closely with you, your family, carers, GPs and other health professionals to develop a tailored plan with the services that you choose. Our role is to work with you, supporting your identified requirements and help you make the most of your precious time. Sundale can look after your needs reliably, professionally and with the greatest of care, whilst empowering you to maintain your independence and providing peace of mind to you and your family. Home help, such as cleaning, shopping, washing, ironing and providing delicious, nutritious meals. Assistance with daily self-care tasks such as eating, toileting, bathing and getting in and out of bed. Help with nursing services, specialised clinical care, palliative care, administering medication, dementia care, wound care, continence and diabetes. In-home respite to provide some relief and support for your carer, family and friends. Encouraging connectedness, visiting family and friends, attending church or participating in social activities. Assistance to and from appointments, shopping venues, social outings and other engagements. Emotional comfort and support, information and guidance to help find access to other support services. Help with recovery, looking after the day to day tasks, wound care, and supporting you back to wellness. Sundale has been providing specialist rehabilitation services for over 25 years. Whether it is to aid in your recovery or to provide you with preventative care such as fall prevention strategies, we’re there with you. If you are eligible for a government assisted CHSP In-Home Care, we’ll help and support you at home with your basic domestic and care needs. This also extends to accessing rehabilitation services either at our Nambour based Rehabilitation Centre, or using their expertise to develop programs specifically for you to complete at home. CDC is a new Australian Government initiative that will see existing packaged care clients’transition to a CDC In-Home Care package from 1 July 2015. CDC is a way of delivering services to give you greater control by providing choice and flexibility about the types of care and services you wish to access. Sundale In-Home Care works with you to identify your goals which may include independence, wellness and re-ablement, and what you would like to achieve in your identified goals. You determine your level of involvement and your care package budget, by selection from available services. Sundale In-Home Care provides you with a regular statement of your budget, providing transparency and putting you in control of how your package funds are used. Completely committed to your needs, when and how you wish it to be, Sundale offers a customised service for those who either do not qualify for Government subsidised services, or simply don’t wish to be part of such Government related services. Sundale work closely with you and/or your family, to a develop your plan of services, delivered when and how you want them. Priding ourselves on our ability to provide a “one stop” contact point for all of your needs, if we can’t provide a service for you, we’ll help you identify someone who can and arrange that on your behalf if you wish. This service offer can be stand-alone or as an addition to your subsidised services – either way we can help you achieve peace of mind with reliable support and services they way you want them.